I thought I'd post a public reply to a comment from Cindy on my "spinning 'round" layout! 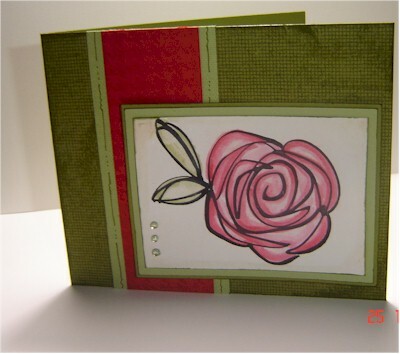 I used the fabulous new Curvy Cutter system by EK Success for the big circles on my page! This new tool cuts around 40 different sizes of circles, from 2 1/4" up to ... well, I'm not sure how large! (My cutting mat is 14" square, and it would go larger than that!) We were able to cut circles that were about 11.5" from some Christmas papers to make fun 'ornaments' for our store window! It's very easy to use, and has guides for precise measuring up to 7.5" inches. We'd love to show you how it works next time you stop by the store! COuld you email me the price and shipping costs for the Circle Cutter to me here (postal code: S0H 3C0).....THANKS!